As seen, by Mr Arthur Kelly. 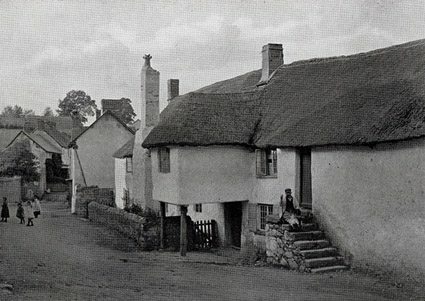 On the east side of the River Teign, he found the village of Kingsteignton. He noted that ‘…much of the village is under straw eaves…’. Now much larger, it still has a score or so of thatched buildings tucked away. 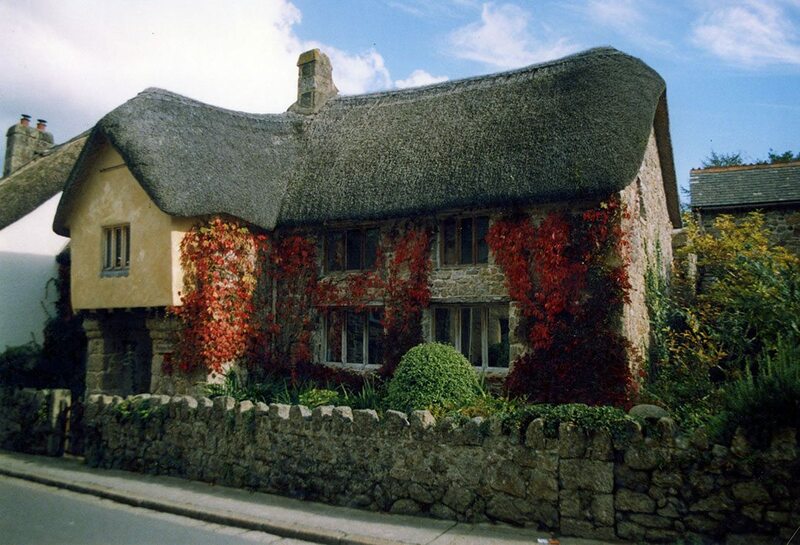 Including the thatched vicarage, that caught Arthur Kelly’s eye. Moving north, Mr Kelly left the railway and negotiated some very narrow lanes, to Hennock. 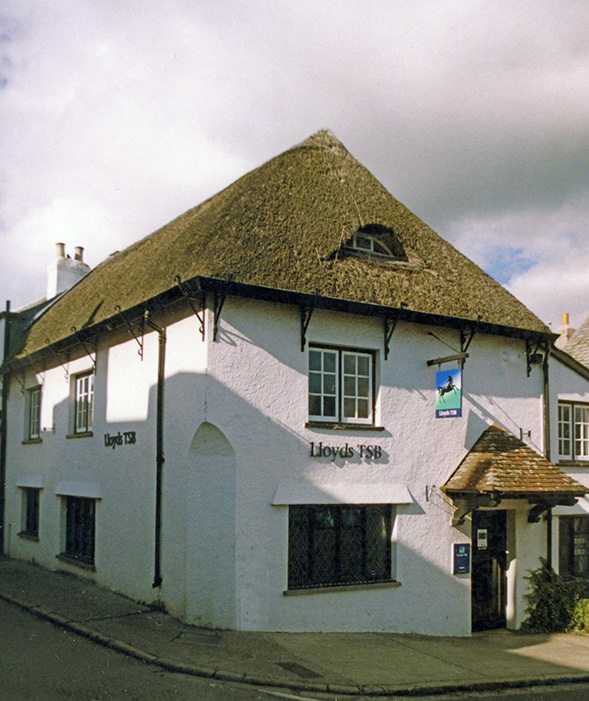 The attractive buildings that Mr Kelly photographed have lost their thatch but the village still has a few others. 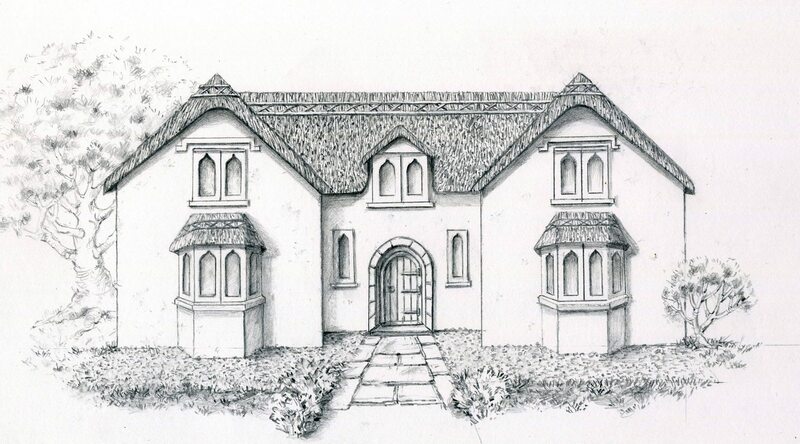 The large Rectory is covered and the Village Hall sports a coat of combed wheat reed. As seen by Arthur Kelly… His photo of Hennock depicts a large combed wheat reed thatch; that no longer exists. But the porched building itself still stands. Devon is a major source of combed wheat reed and Arthur Kelly noted it’s preparation; in an age, just before the mechanical reedcomber came into general use. Stating that ‘…in out of the way districts….the sheaves are thrashed with the flail…then combed with a comb six or eight inches long…’ This is combing by hand, dating from time out of mind. However today, even in it’s heartland, combed wheat reed is under pressure, from the ever encroaching water variety. Mr Kelly’s next port of call shows this all to well. But it seems that some thatchers earned nothing, and a great deal of effort went into stopping them doing any sort of travelling at all. 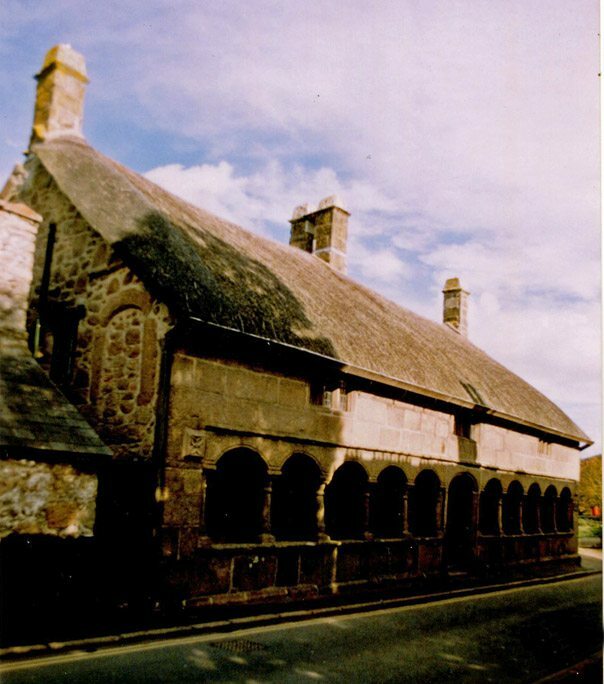 ‘Fine work…is done on the farm by the convicts at Princetown, as there is no need to worry about overtime…‘ This Mr Kelly states, was the position at Dartmoor Prison! The mention of work ‘on the farm‘, suggests rick thatching; rather than work on more substantial buildings. Time has robbed us of any confirmation, of the quite intriguing prospect of some convict thatchers. Nearly all the prison’s records were lost, in a mutiny in 1932. Off to work we go… To the prison farm and some rick thatching? 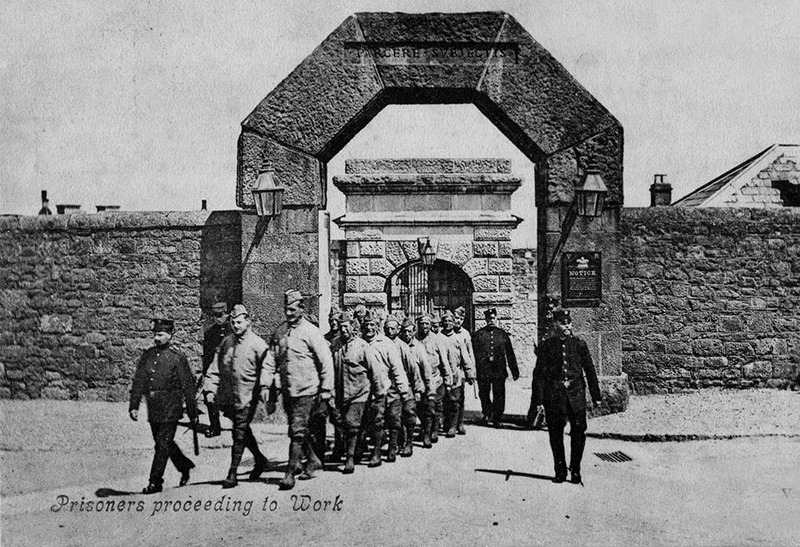 A scene from H.M. Prison at Princetown, in Arthur Kelly’s day…. 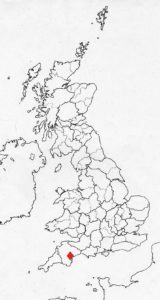 Arthur Kelly’s travels, now lead him to Moretonhamstead. 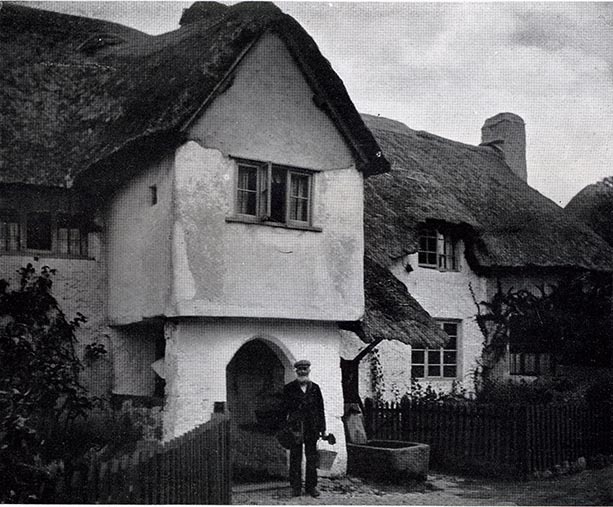 In this village, Mr Kelly saw the thatched ‘Poor House’, which still stands today; under a coat of wheat reed. But it has lost it’s attic windows and the eight almshouses are now two. 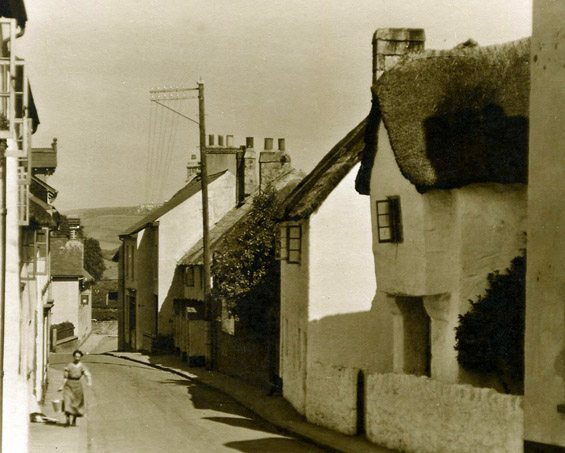 The town still has many attractive thatched shops and houses. The Poor House… Above, in an Edwardian image. 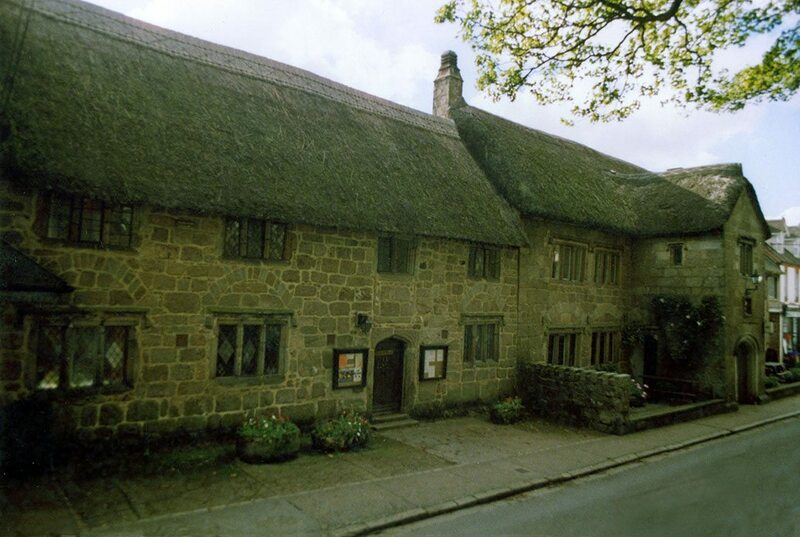 Dating from the medieval period, this fine building is now in the care of the National Trust. Still fulfilling it’s role as tenanted housing. 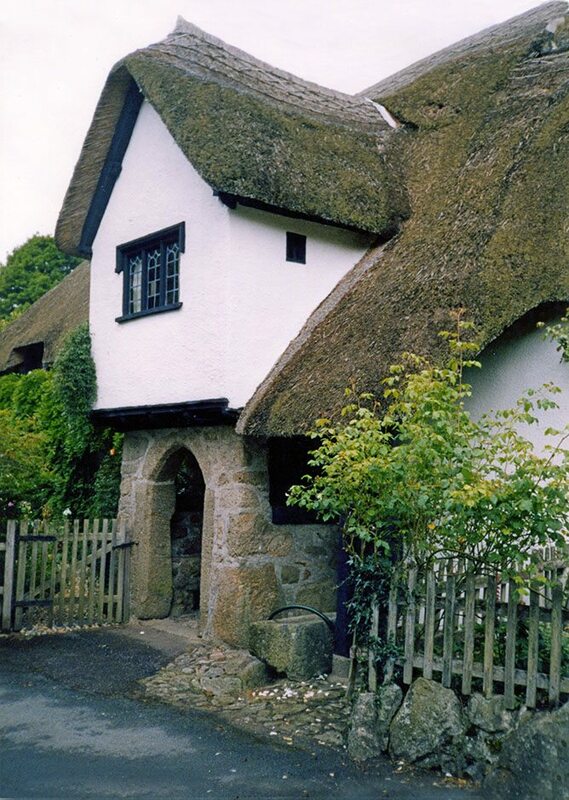 Being one of nearly thirty or so thatched buildings, in this parish. 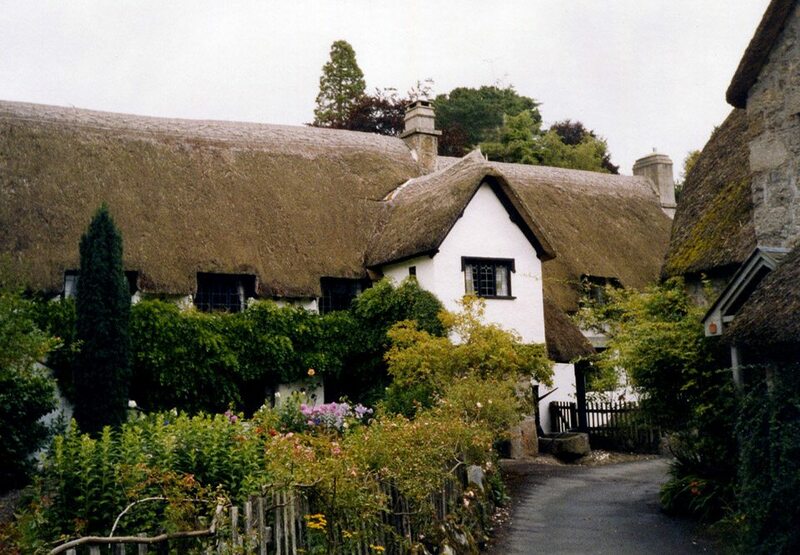 Chagford… Over a hundred thatched buildings lie hereabouts. Including some in the town centre. 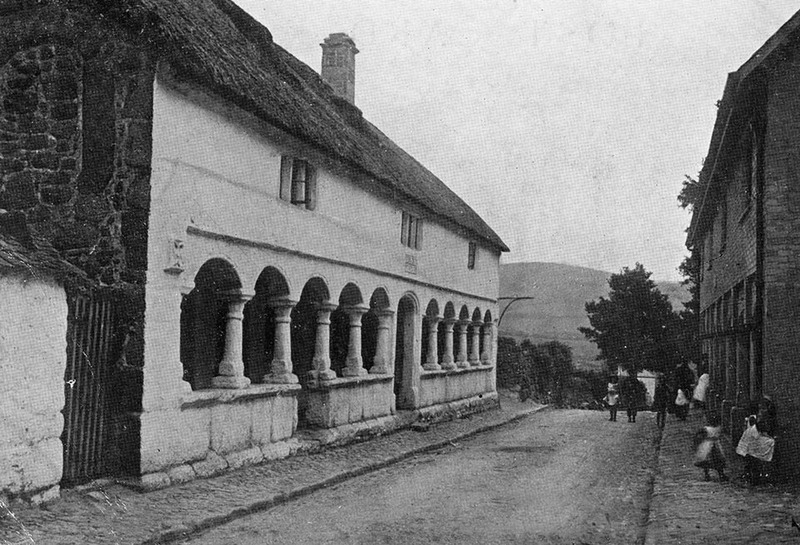 This long row of buildings, opposite the church, date from the Tudor period. The left hand side was once the guildhall of St Catherine, founded here in 1200. To the Editor of Country Life. Sir, After reading the illustrated article entitled ‘Thatching in Devonshire’… it occurred to me you might consider the enclosed photograph of a Devonshire thatcher, which I took when in the south part of the county recently,… As there are but few men now following this trade, their services are eagerly sought by farmers and others in the surrounding district, and it is often necessary for them to make long journeys to and from their work, and for this purpose the man whose portrait is shown utilises a donkey; he is quite an institution for several miles around the neighbourhood in which he lives. He has just descended his ladder, and is surveying the progress made with his work during the day. 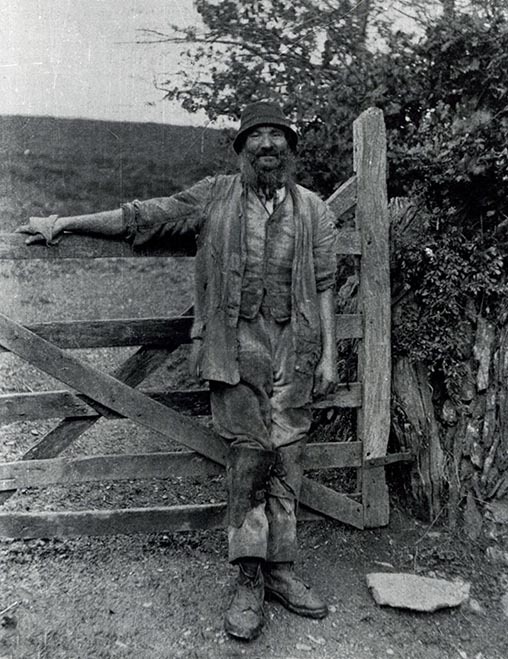 His working attire, with leather knee-pads, and shields for protecting the right hand when pushing in the hazel ‘spears’ which secure the thatch, are clearly depicted.